This glorious lamb shank dish by Martin Morales would work as well as a winter warmer as it would a dinner party dish. The combination of dark chocolate, star anise and Peruvian ají panca chilli make a beautifully rich sauce, filled with heady flavours and a hint of spice. This recipe is taken from Andina: The Heart of Peruvian Food by Martin Morales, published by Quadrille. Photography by David Loftus. New ideas for dishes at our restaurants always appear as specials before getting a listing on the menu. This recipe was an instant hit. 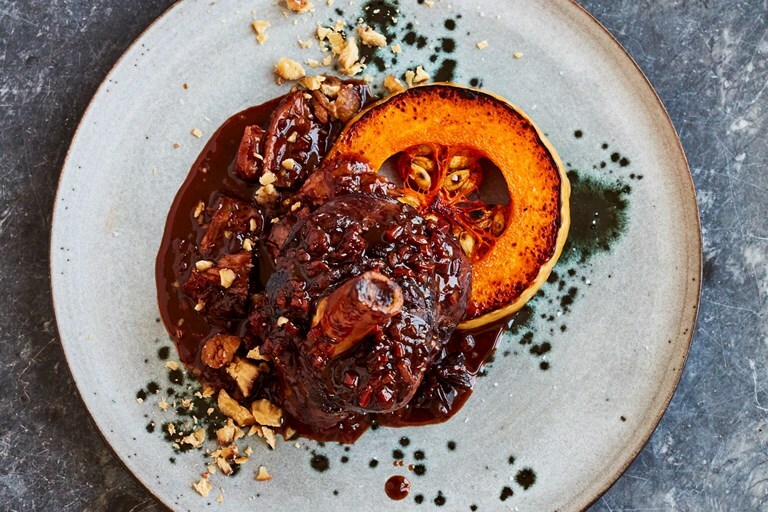 The magic of the velvety and dark chocolate combined with the succulent lamb shanks and spices makes this dish perfect for autumn.